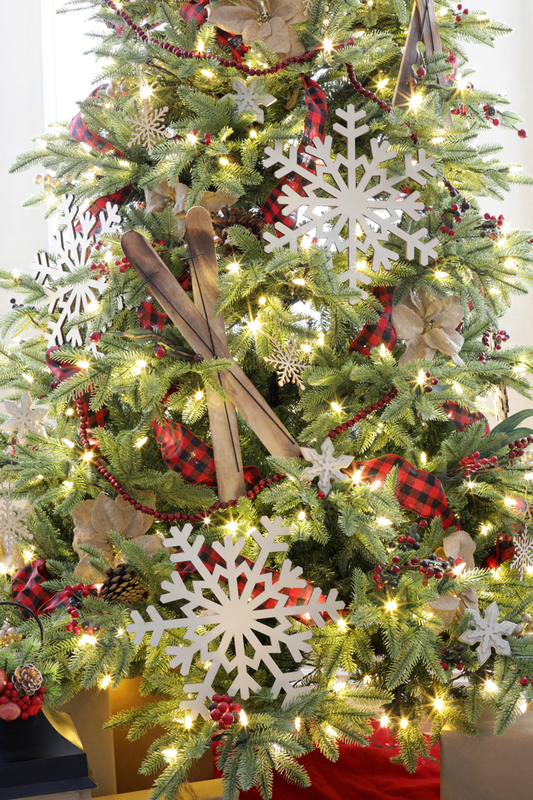 This cozy, rustic ski lodge Christmas tree is decorated with oversized snowflakes, wooden skis, pine cones, buffalo check ribbon and red berries. My parents needed a new faux Christmas tree this year, so when I had the chance to partner with Treetopia, I thought it would be the perfect chance to help them out. It was so fun to surprise them with a new, fully decorated tree! 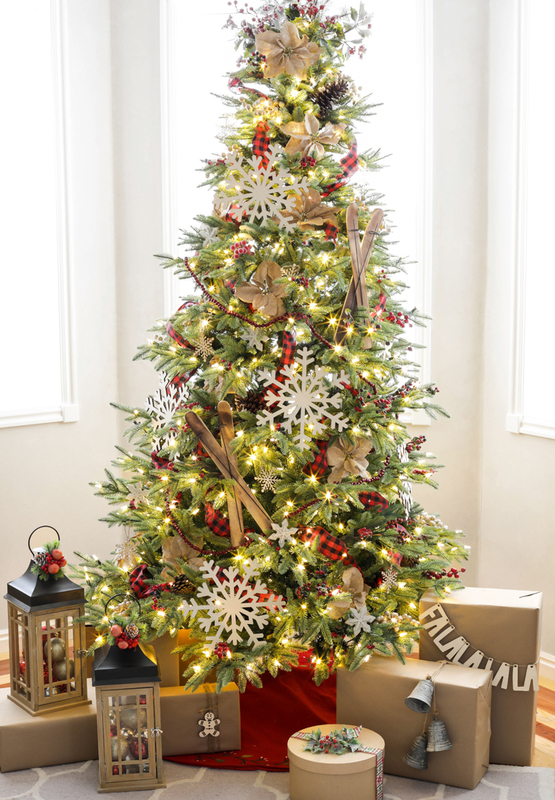 I wanted a versatile, classic tree with a really natural look and ended up choosing the 7.5′ Portland Pine. It comes pre-lit with white and colored lights, so you can change it up from year to year. The lights also blink between the two, which is a fun feature. 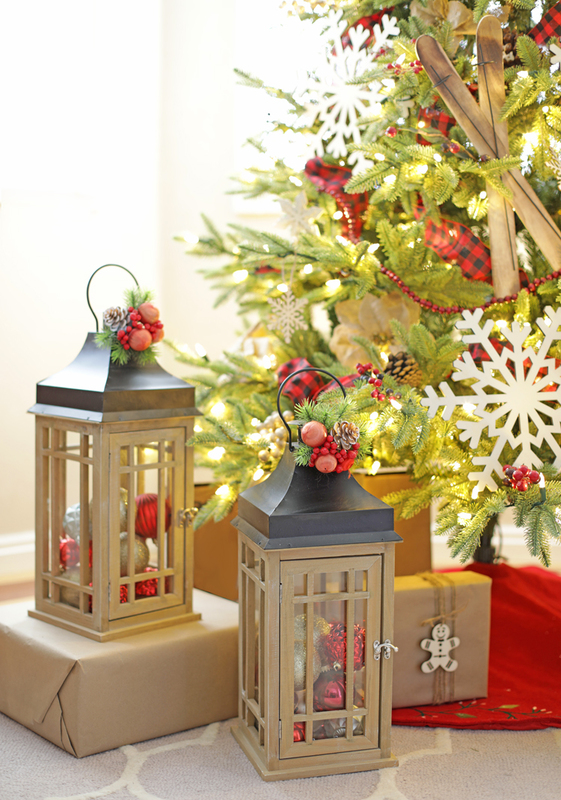 The tree comes in three sections that fit together and set up was easy and painless. The branches on the Portland Pine are very different from normal Christmas tree branches. 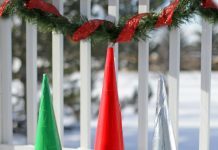 They are very sturdy and made of thicker plastic, unlike the green scratchy paper that most fake trees are made of. It’s also a lighter green in color, which I love. It was the perfect canvas for all of the fun rustic decorations. I was able to decorate this whole tree with things I already had in my Christmas totes! Can you believe that? I guess that makes me a pro crafter… or a pro hoarder, depending on how you look at it. The giant snowflakes were from last year’s tree and I love how they fill up the tree visually without having to put as much stuff on. I had just as much fun wrapping the presents to coordinate. There’s just something simple and beautiful about kraft wrapping paper. 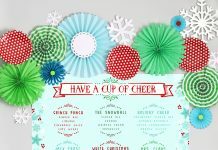 I love adding fun ribbon and other creative toppers, like these vintage-looking bells. 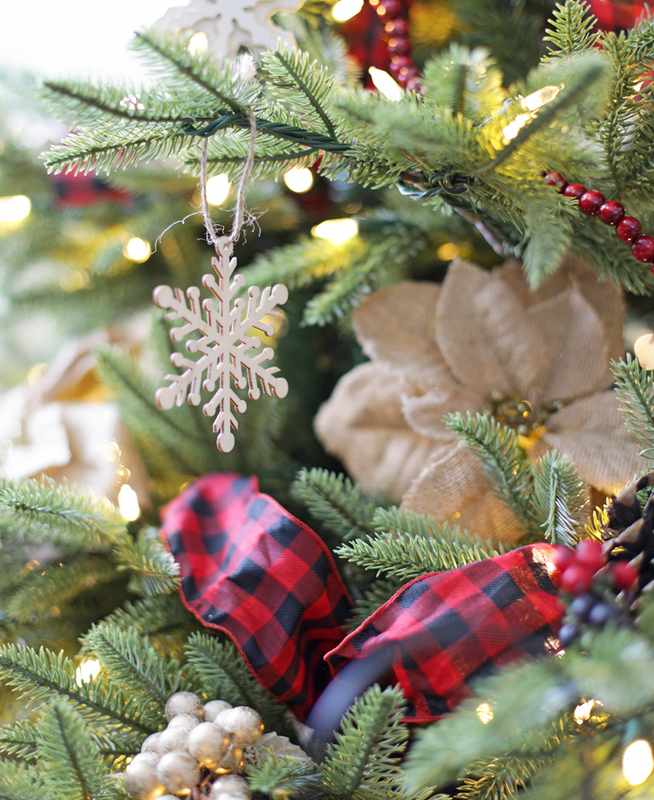 I think the buffalo plaid ribbon turned out perfect on this tree. I chose it because my dad wears plaid shirts almost daily, so I can’t look at red plaid without thinking of him. The tree came in three sections that snap together. It was a quick and painless set up and I have to say, a pre-lit tree is just about the best invention EVER. My parents were thrilled with the size and quality of their new tree and I think more than anything they were just excited that they didn’t have to decorate it! Ha ha. I would recommend the Portland Pine Christmas tree to anyone looking for a high-quality, beautiful green Christmas tree. Be sure to check out the great selection of trees from Treetopia. 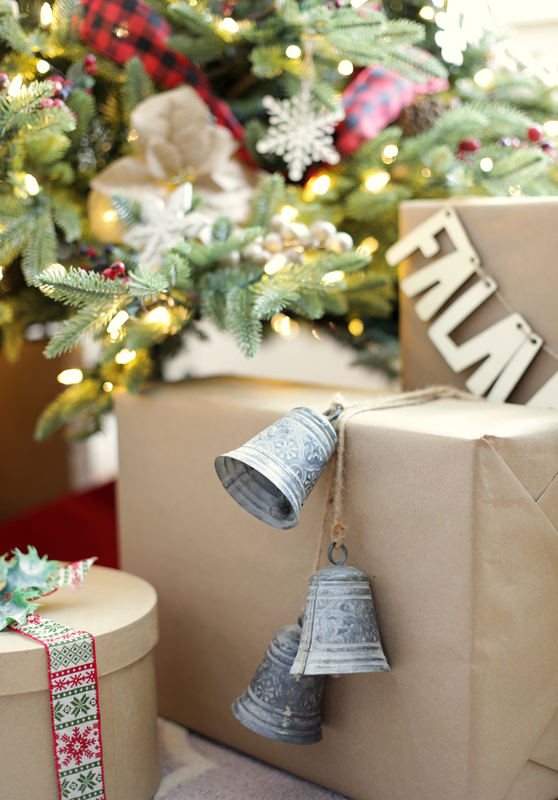 Looking for more Christmas tree decorating inspiration? Here are a few of my favorite trees from years past! Thank you to my sponsors at Treetopia for sending this beautiful tree. All opinions are my own.